Cheomseongdae means star-gazing tower in Korean. Cheomseongdae is one of the oldest surviving observatories in East Asia, and one of the oldest scientific installations on Earth. It dates to the 7th century to the time of kingdom of Silla, which had its capital in Gyeongju. Cheomseongdae was designated as the country’s 31st national treasure on December 20, 1962. Thereafter, we visit the Wine Tunnel. During Japan’s imperialism period (1889~1945), they laid a railroad to plunder the resources of the Korean Peninsula. Because of this, they dug various tunnels through some mountains. One of these excavations is the former Namseonghyun tunnel in Chungdo, which became famous for persimmons. The original tunnel was completed in 1906, and another was added in 1937. These tunnels were not used any more after a new tunnel was opened for traffic. After wake-up, we’re having our breakfast at the same hotel that we stay. Thereafter, heading to the Everland by Korea Highway Express. Before getting into Everland, we’re having a steamboat nearby there. Everland Resort is a theme park in Yongin, a city in Gyeonggi-do province, South Korea. Everland is South Korea’s largest theme park. 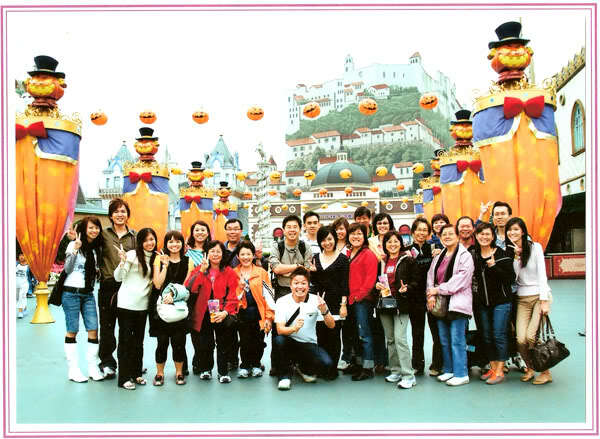 Everland is divided into 6 distinct zones; Global Fair, Zoo-Topia, European Adventure, Magic Land and American Adventure. Caribbean Bay water park requires an additional ticket, and is not open all year due to weather conditions. Zoo-Topia is an animal themed portion. There are a petting zoo, pony rides, and animal shows. There is also a small zoo with polar bears, sea lions, penguins, bears, tigers and primates. A safari bus ride is available which shows animals roaming in a contained habitat. There is a portion called Aesop’s Village where the characters and themes are primarily drawn from the fables of Aesop. Magic land is an elaborate array of buildings and rides. European Adventure has many restaurants in various European styles. The architecture imitates different European styles.